You want a truck that’s built to last, that can tackle any job you throw at it and hold its own against the elements for years to come. That’s where the RAM 1500 comes in. For decades, it’s been put through the paces of rigorous testing to ensure that it can stand up to whatever comes its way. Coupling that unparalleled durability with safety and security features that can be hard to come by in trucks in this class, the RAM 1500’s appeal is impossible to deny and hard to pass up! Capability and performance come together in the RAM 1500, which offers impressive towing capacity and smart engineering as well as ample power on the road. A variety of cab configurations allows you the freedom to choose the amount of space allotted for passengers or, depending on your needs, a longer bed to accommodate the tools and equipment you’re hauling to the job site. The interior of the RAM 1500 is far from the sparse, utilitarian cabin you might expect in a truck of this strong and rugged caliber. With luxurious appointments and fine details geared toward the comfort and safety of its occupants, this truck invites everyone inside to sit back, relax, and enjoy the ride. And we haven’t even touched on one of the most amazing aspects yet: price! Safford of Warrenton has some great deals that will let you take home your very own RAM 1500 for less than you ever imagined! Truck buyers in Old Tavern, Gainesville, and Manassas as well as the surrounding areas are invited to come in to explore all the RAM models we have in stock and take a test drive of their favorites. Our dealership is conveniently located at 7308 CedarRun Drive in Warrenton, and we’re standing by to help you! What Can You Expect from the 2018 RAM 1500? This year’s RAM 1500 is every bit as tough, capable, and loaded with features as its predecessors-and then some! The opulent Limited Tungsten trim is a new addition, offering a top-of-the-line interior that takes truck luxury to the next level. A backup camera comes standard in all trim levels to make it easier and safer to operate in reverse, and an optional U-Connect touchscreen puts tech controls at your fingertips. Numerous trim levels to choose from make it possible for you to get just the right combination of features and amenities for your individual needs, but even the baseline Tradesman trim offers such desirable standards as a comprehensive set of airbags, a Class IV receiver hitch with integrated trailer tow wiring connector, and split-bench seating. The powerful base engine, a 3.6L Pentastar V6 with 305 hp and 269 lb-ft of torque, is upgradable to a 5.7L HEMI V8 engine for those who want even more power! People in the market for a truck that has it all-from durability to technology to capability and even luxury-will do well to browse the online inventory at Safford of Warrenton and start to narrow down their remarkable options. The RAM name has been synonymous with durable, tough pickup trucks since it first came on the scene in 1981. Over the years that followed, the RAM maintained and improved upon that durability and became increasingly fuel efficient, user-friendly, and powerful. A face-lift and mechanical upgrades enhanced its presence and performance on the road, and its car-like interior appealed to an even broader base of drivers. Today’s RAM 1500 models provide even more of what sets it apart in the truck segment. More style, more power, more choices for buyers who like to tailor their vehicles to what’s most important to them. More than just a worthy contender in the realm of the pickup, the RAM 1500 is so well-rounded it appeals even to those who didn’t realize there was a truck with all of these qualities on the market. Manassas, Airlie, and Marshall drivers can find the full line of new and used RAM 1500 models in stock and at great prices when they shop at Safford of Warrenton. What’s more, we can answer any questions you may have and get you set up with a test drive today. We will also be happy to help guide you through your financing options and our special offers so you can get the truck you want at some of the best prices you’ll find anywhere! 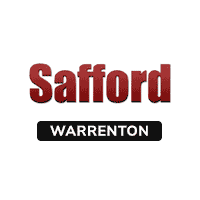 Contact us or stop by our full-service dealership at 7308 Cedar Run Drive today to see what makes Safford of Warrenton the best place to buy your new or used RAM!